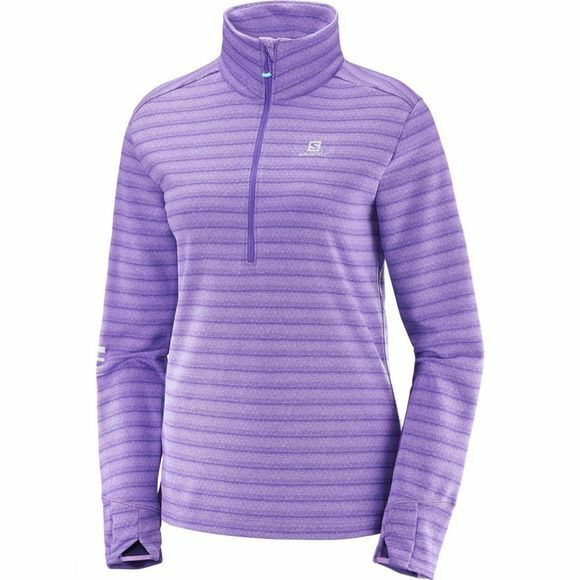 A solid and attractive piece you can rely on time and again, the Womens Lightning Half Zip Top from Salomon works hard to keep you dry and warm. This long-sleeve top hits the sweet spot between T-shirt and midlayer so you stay warm at the outset, but don't get overheated as you tack on miles. It’s also soft enough to wear against your skin if you choose not to wear a tee.